We recently submitted our competition entry for a new education and visitor centre for the Broads Authority. Located next to Acle Bridge, our design lifts the primary accommodation out of the flood plain to offer far reaching views. The use of locally sourced materials including oak cladding and Norfolk reed thatch creates an environmentally sensitive and resilient landmark. We went to see our recently completed project in the Mendips. The project involved the refurbishment of the existing cottage and a new single storey extension opening out into the private garden. 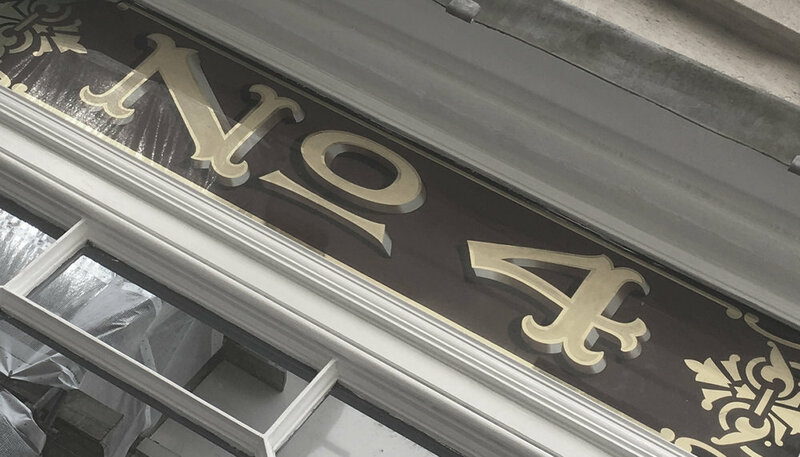 After four years in the new town we have moved to a new studio in Beau Street at the heart of the City, close to the Abbey and Baths. Progress continues on our Greenbelt site in Wiltshire where we are creating a five-bedroom family house with views across the Box Valley. Construction work is nearing completion on our extension project in Widcombe. The new structure is partially built into the valley to reduce its impact on the historic setting yet affords extensive views to the South. The scaffolding has been struck on our project in Blackheath, revealing the new garden room and roof terrace. We have prepared a concept design for an eighteen apartment building for a site near the centre of Bath. The design includes affordable housing and units for the elderly as well as a shared meeting space to encourage social interaction between residents. We are delighted to have won the RIBA Open Competition for the creation of a new public space in Prescot in Merseyside. Working in collaboration with SEED Landscape Design, the proposal was selected from 42 entries. We are looking forward to working with Prescot THI and Knowsley Metropolitan Borough Council to deliver the HLF funded project, which is due to complete in Summer 2018. Our competition entry with Seed Landscape to reimagine Market Square in Prescot has been shortlisted. Organised by the RIBA, the competition seeks ideas to transform the current under-used space at the heart of the town. Opening of the architecture degree show at the University of Bath tonight. A great end to another year of tutoring some amazing students. Works are moving forward on our extensive alteration and extension project in Blackheath, involving the creation of a new garden room, roof terrace and loft conversion. Beautiful morning for a site visit to our project in Mells to see the craft of roof thatching. We have recently returned from our studio trip to London, taking in some fantastic new architecture including the Design Museum, Newport Gallery and the new LSE student centre. 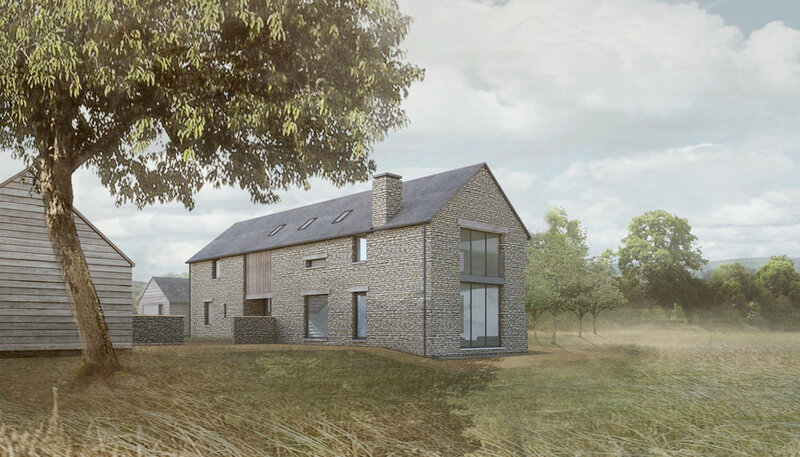 Our proposal for a new 300sqm four-bedroom house was granted delegated consent by Wiltshire Council. Using a palette of oak, dry stone walling and natural slate, the design is conceived as a contemporary barn conversion. Construction work has commenced on our 90sqm extension to a grade II listed former vicarage in the heart of Widcombe in Bath. Concealed from the road, the new accommodation will rest within the concealed garden and offer views across the valley. Prior approval has been given for our 450sqm steel framed barn conversion. Located in the Chew Valley, the development was permitted under Class Q of permitted development. Planning and listed building consent has been granted for our alterations to a Grade I listed Georgian townhouse in central Bath. The proposals include the creation of a separate garden apartment and contemporary rear extension. Our project to house the Lifeline Centre at the Friends Meeting House opens today. Run by the Genesis Trust charity, Lifeline provides a daily drop-in centre offering support to rough sleepers and vulnerably housed adults. Mark spoke at the Arnolfini in Bristol as part of the Design Thinking Lecture series organised by UWE and the Architecture Centre. Titled Emerging Practices, he spoke about the practice ethos and approach to projects and joined the discussion panel alongside Sam Goss, Tom Russell and Nicola Du Pisanie. Our small infill project in the village of Box is complete. The new oak and reclaimed Bath stone rear extension provides an open plan family space that connects to the rear garden.